Simon Mills has been in regular clinical practice in Exeter since 1977, providing individualised natural health care and herbal medicine prescriptions to thousands of patients with a very wide range of conditions. He has also been active nationally and internationally. He is a Cambridge medical sciences graduate who was at the forefront of the development of complementary medicine from its beginning, being the first Chair of the Council for Complementary and Alternative Medicine, and founder trustee of the Research Council for Complementary Medicine, both from 1983. 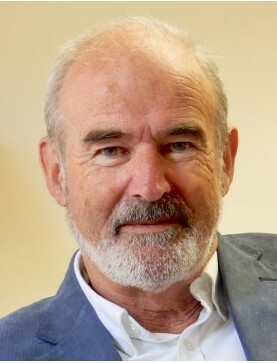 In 1985 he worked with Sir James Watt, President of the Royal Society of Medicine, to organise their ground-breaking Colloquia on Complementary Medicine, attended by the Prince of Wales, and in 1987 co-founded the Centre for Complementary Health Studies at the University of Exeter, the first ever such university centre. In 1996 the Prince of Wales asked Simon to co-chair the Regulatory Committee of his new Foundation for Integrated Health and in 1999-2000 he was Special Advisor to the House of Lords Select Committee report on Complementary and Alternative Medicine, which was quickly accepted by the Government. In 2003 Simon co-ordinated the first integrated medicine course at a UK medical school, at the Peninsula School of Medicine. He has published in many peer-reviewed scientific journals, including double-blind clinical trials, and has supervised ten successful doctorate theses. In the herbal field Simon has led the main organizations in the UK (the British Herbal Medicine Association, the College of Practitioners of Phytotherapy, and National Institute of Medical Herbalists) and served on the Government’s Herbal Medicine Advisory Committee. Since 1997 he has been Secretary of ESCOP, the lead herbal scientific network in Europe, that produces defining monographs on herbal medicines, initially for the European Medicines Agency. He has also written seminal herbal medicine textbooks, notably with Kerry Bone the award-winning Principles and Practice of Phytotherapy and the Essential Book of Herbal Safety. In 2001 he directed the first Masters degree programme in herbal medicine in the USA. Simon is Founder Director of Sustaincare Community Interest Company. He has also over the years supported academic and community activities as a consultant to the consumer health industry. He is a Fellow of the Royal Society of Medicine and has been listed in Who’s Who since 2013.